Home Living & Working in Ibiza Buying & Renting Property Fancy Your Very Own Balearic Island? Fancy Your Very Own Balearic Island? It is not often Islands come up for sale, but if you have a spare 5,250,000 euros hanging around this could be just the job. It goes under the name of Colom Islet and has an area of 58 hectares of land. Colom is situated just 200 metres north off the coast of Menorca, the most northerly of the Balearic islands. 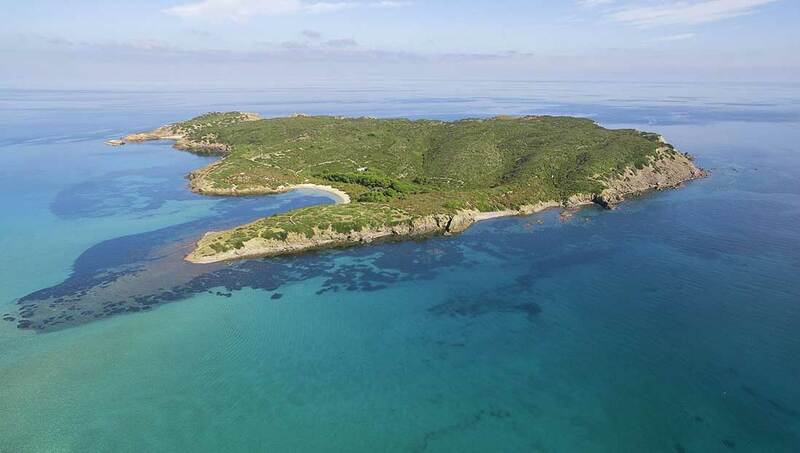 In actual fact, the islet belongs to the municipality of Mahon, the capital of Menorca, and forms part of the natural park of s’Albufera des Grau. It is actually the largest of a small batch of islands that surround the larger island. The islet possesses just a handful of buildings that include a 100 square metre main residence dating back to the 18th century. This has six bedrooms and a 30 square metre annex that serves as a storehouse. There’s also a wooden cabin that can also be lived in as it contains two bedrooms, a kitchen, living room and bathroom. With regards to outside space there are two white sandy beaches, a boathouse to house vessels of up to 20 square metres, plus remains of the old miners’ house.